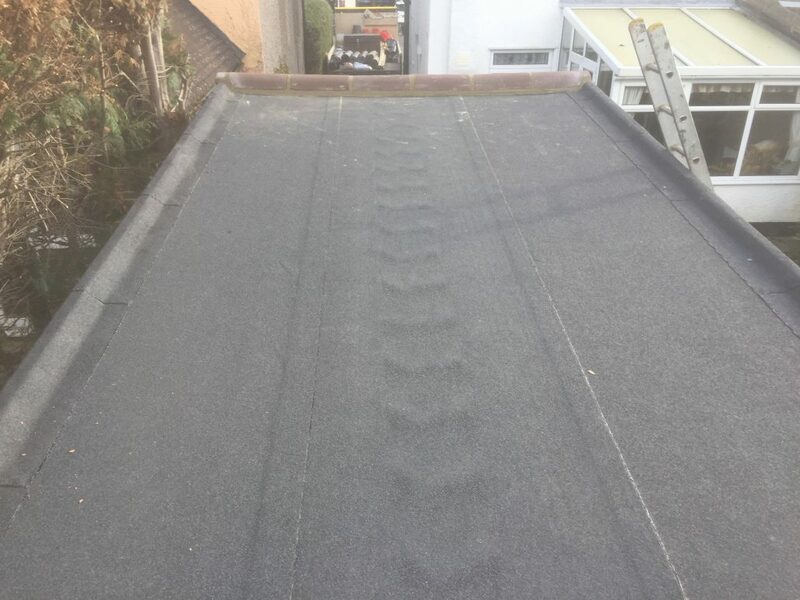 Fitted new 18mm OSB roof deck. 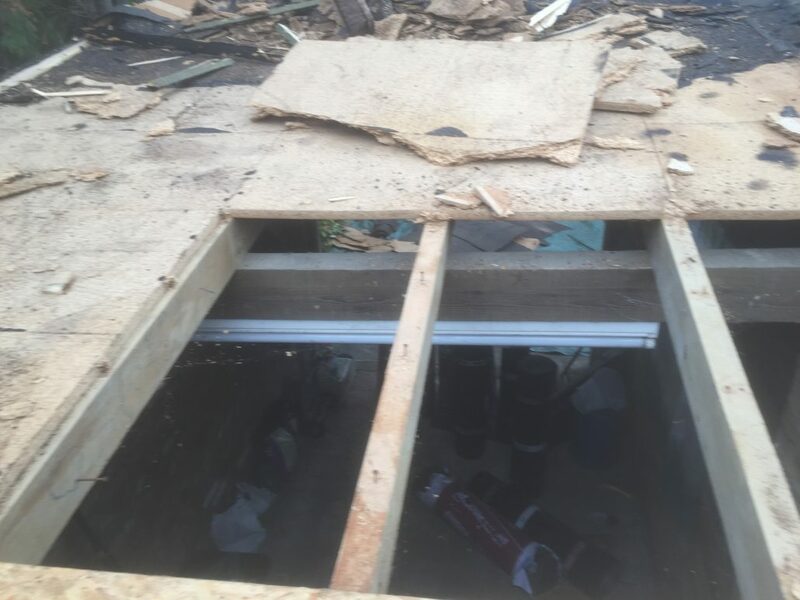 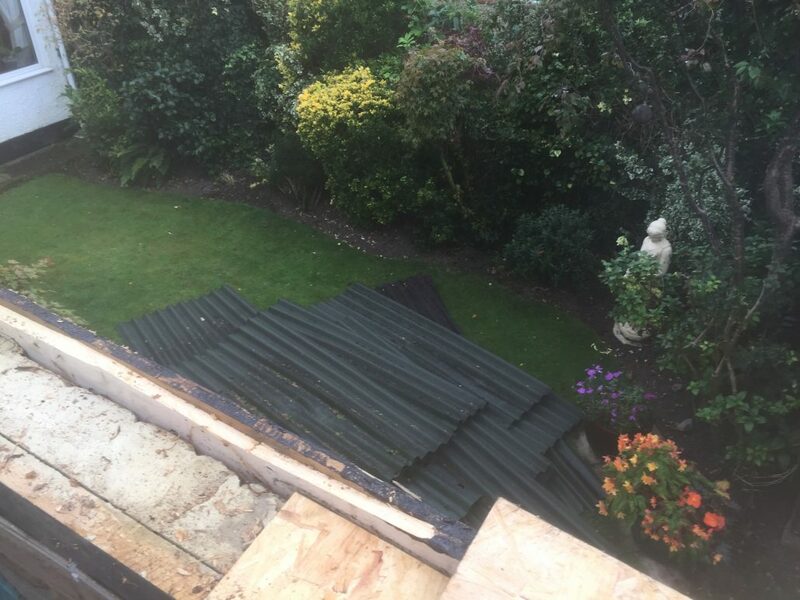 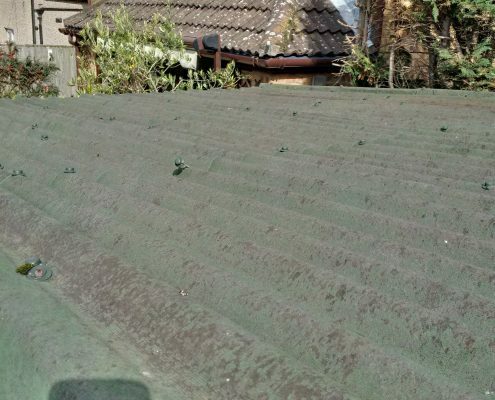 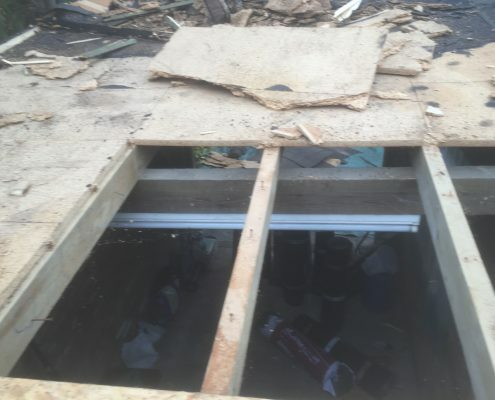 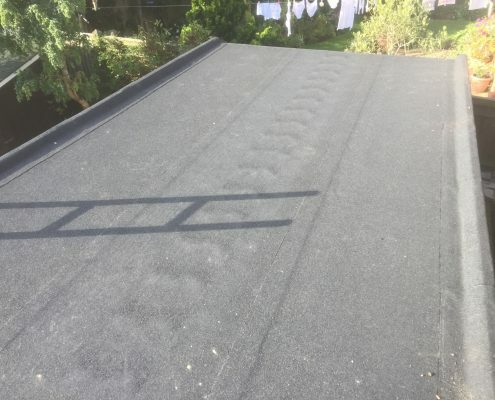 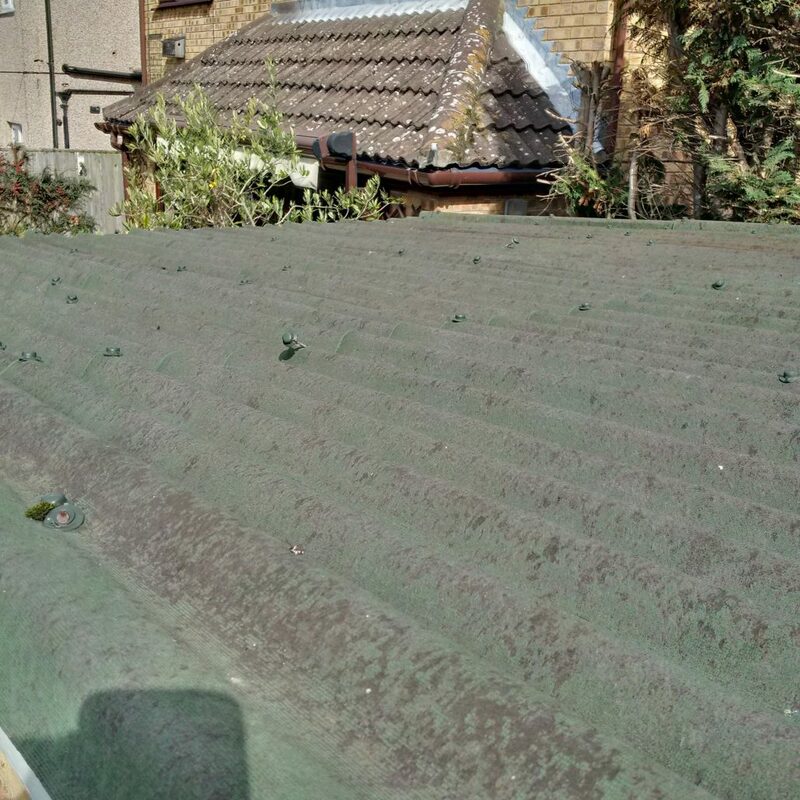 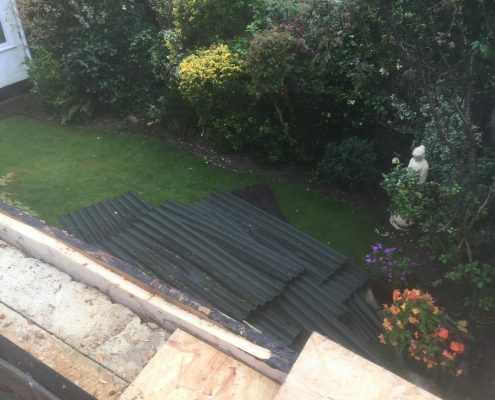 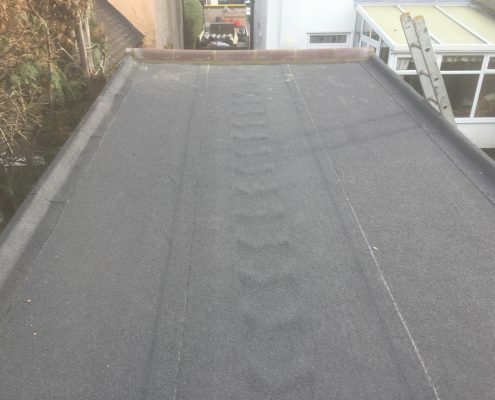 This roofing project involved stripping up the existing roof covering which was corrugated bituminous cardboard sheeting and roof decking which we disposed of. 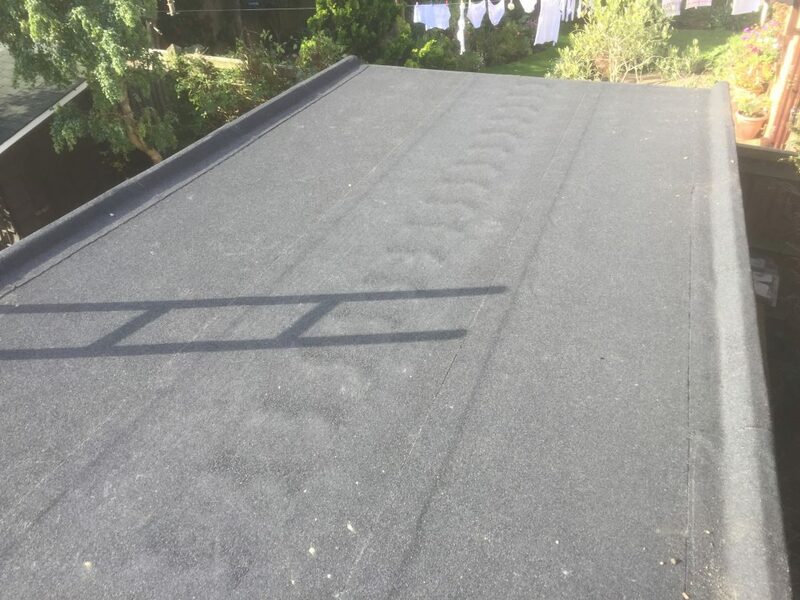 We then fitted a new 18mm OSB plywood roof decking and covered the roof area with 3 layers of High Performance Waterproofing Mineral Felt. 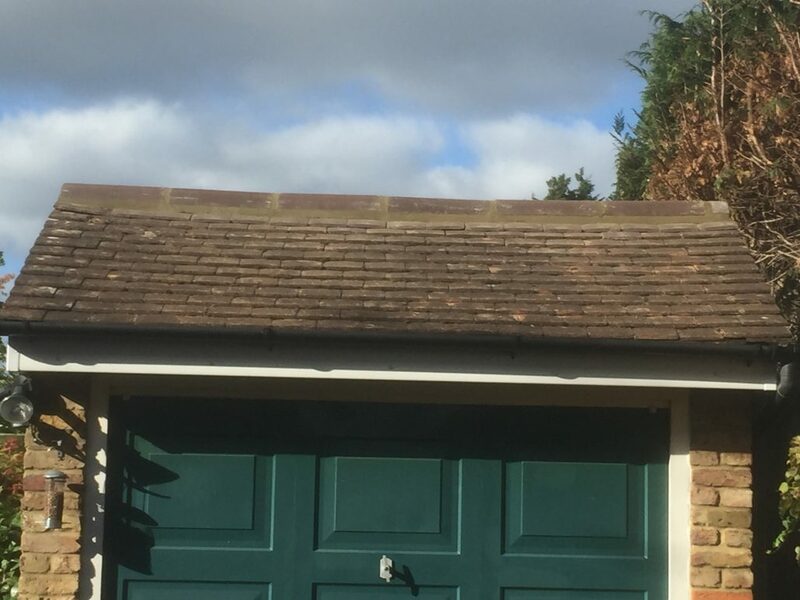 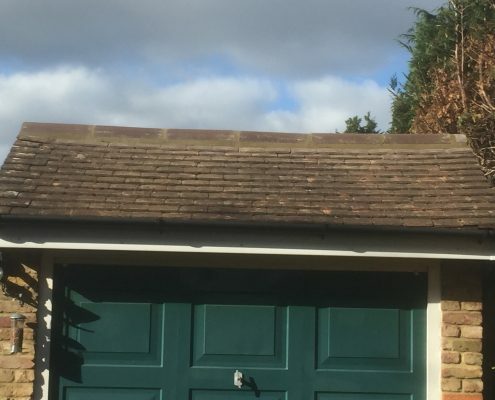 We had to remove and fit new ridge tiles on the front of the garage roof and make good the existing roof tiles.